The West Midlands has enjoyed another record-breaking year for international visitors, according to new research. A total of 2.3 million visitors came from overseas to the region during 2017, which is the fifth consecutive year of growth and a six per cent increase on 2016. The West Midlands also welcomed the highest proportion of business visits of all UK areas, with two out of five (39 per cent) coming to the region for work purposes. The West Midlands experienced the second highest growth in international visits of all English regions, behind only the North West. 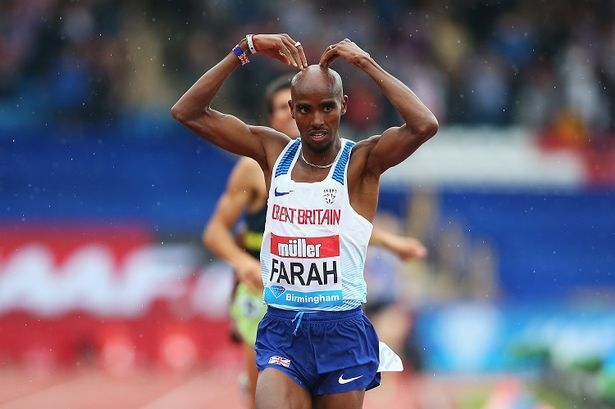 Major events such as the ICC Champions Trophy at Edgbaston Stadium, Diamond League athletics at Alexander Stadium in Perry Barr and Godiva Festival in Coventry contributed to the influx of visitors. The Republic of Ireland was the West Midlands&apos; largest overseas market for tourism (305,284 visits) followed by Poland (234,182), Germany (192,280), France (150,358) and the United States (124,216). The figures have been released by the Office for National Statistics from its International Passenger Survey report. West Midlands Mayor Andy Street said: "Tourism plays a vital role in the region&apos;s economy, supporting thousands of jobs and delivering inclusive growth. "It also helps to showcase the West Midlands internationally to the benefit of our other key sectors. "The increase in overseas visitors coming to the region demonstrates its continued appeal to global audiences. "Tourists are recognising the range of world-class gems here – from our leisure and retail offer, to our diverse cultural attractions and the international sporting events we host every year." Nicola Hewitt, commercial director at the marketing body the West Midlands Growth Company, added: "These figures are proof not only of the popularity of the West Midlands&apos; leisure tourism offer but its standing as an important global destination for business and corporate events. "Through our work with VisitBritain and partners including Birmingham Airport, we are promoting the region as widely as ever. "By targeting markets with the potential to attract even more visitors, such as India, China and Germany, we want to build on the West Midlands&apos; positive reputation ahead of major events such as the 2021 Coventry City of Culture and 2022 Commonwealth Games."